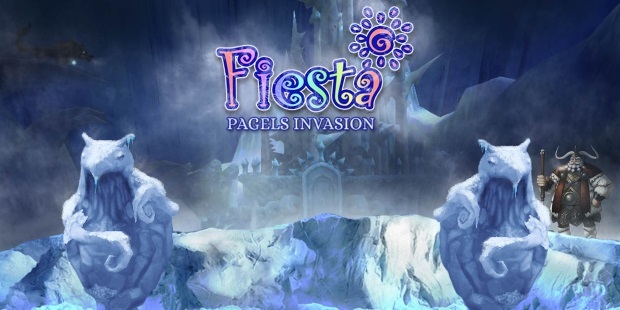 Starting today, millions of Fiesta fans will be able to pick up their game wherever there’s a PC without ever leaving the party, as Outspark launches Web Fiesta, the new browser version of Fiesta Online, a wildly popular free-to-play MMORPG. Now on a beach, in a café, on a train, epic battles and romance are just a few clicks away, and in full 3D. That’s not something that’s been done before. To celebrate the launch of Web Fiesta, Fiesta’s Game Masters are hosting several exciting in-game events for valuable prizes. The Great Leveling Race is a race to the top for glory and SparkCash, the Fiesta Comic Event is a showcase of community’s clever comic tales, and Fun With Fiesta rewards players for simply exploring the game. In addition, Date-A-GM makes its return as a Valentine’s dating game where players face-off in a test-your-wits challenge to win dream in-game experiences with a Game Master. Play Web Fiesta for free and receive a special gift, a goldfish mini-pet, which will give your base stats a nice boost. Redeem your free mini-pet here and enter code GOLDIMONWANTSFIESTA, expires 2.14.12.